Repair and Maintenance Services in Midland and the Permian Basin of Texas and New Mexico. When you need repairs or maintenance to your heavy equipment, Beard Equipment provides the best in the industry. You will receive assistance from a highly trained and certified professional technicians who gets to know you and your business and who delivers the services that best fit your needs. Whether it is initial product training, daily maintenance, preventative maintenance, equipment inspections, all makes repair, hydraulic cylinder and hammer rebuilds, trailer repairs, field service, or custom fabrication we can help minimize your downtime and maximize your productivity. We also perform repairs and maintenance on equipment that hasn’t been purchased from us. If you are having problems getting the service you need from your local representative or another independent repair facility, contact us for the proper assistance you deserve. Is your equipment now out of warranty and you’re not receiving service in a timely manner? You can count on us to provide you with professional and expert repair/maintenance work in a quick timeframe and at the most reasonable prices in the industry. 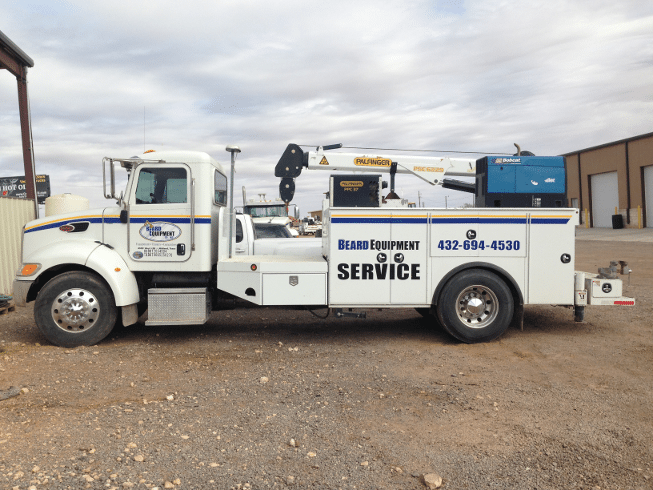 Beard Equipment Co., Inc. provides expert heavy equipment repair and maintenance services to customers across Midland, Odessa, TX, New Mexico and beyond.